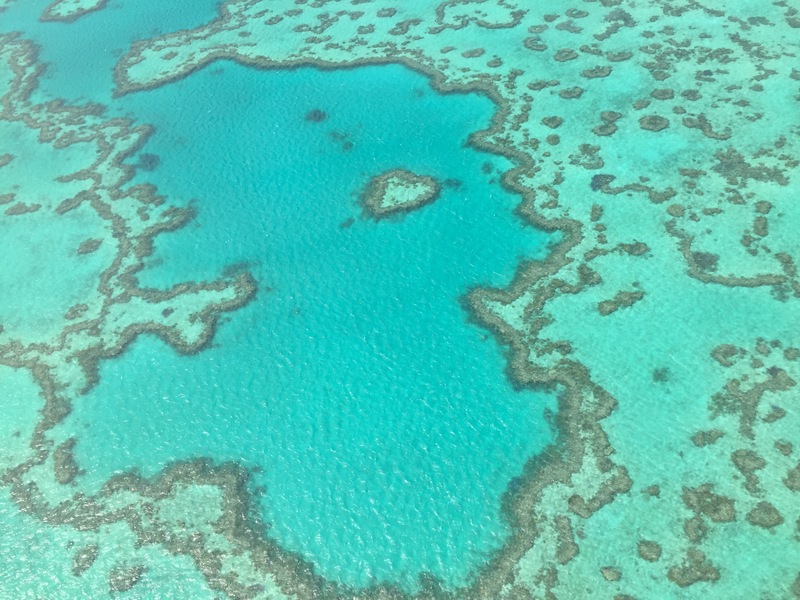 No holiday in the Whitsunday Islands is complete without a trip to the Great Barrier Reef. 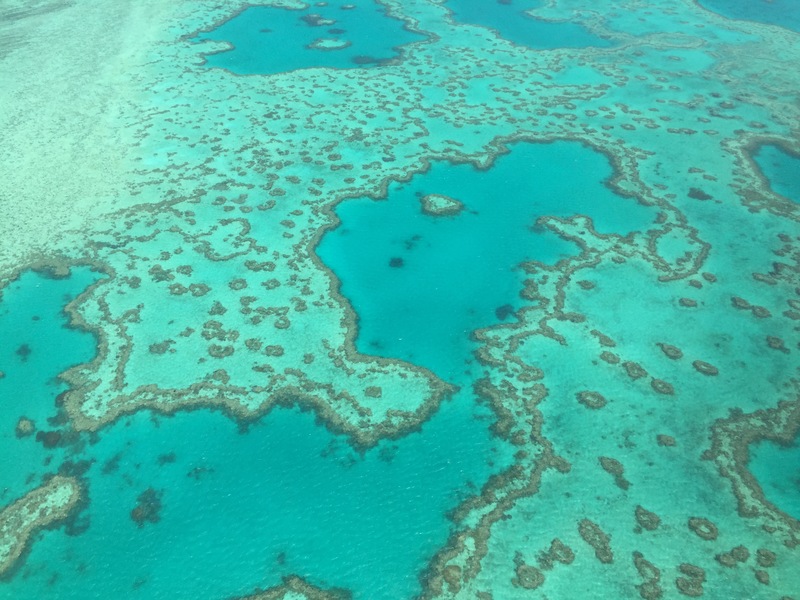 The World’s largest coral reef and living organism at 2,300 km in length, covering an area of 344, 400 square kilometres, they say it is visible from Space. 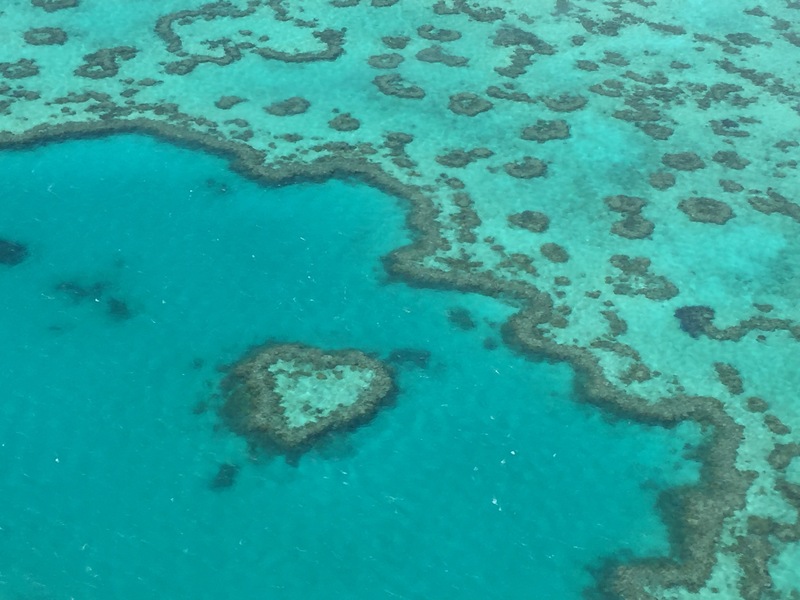 The central reef area is accessible by boat or helicopter. 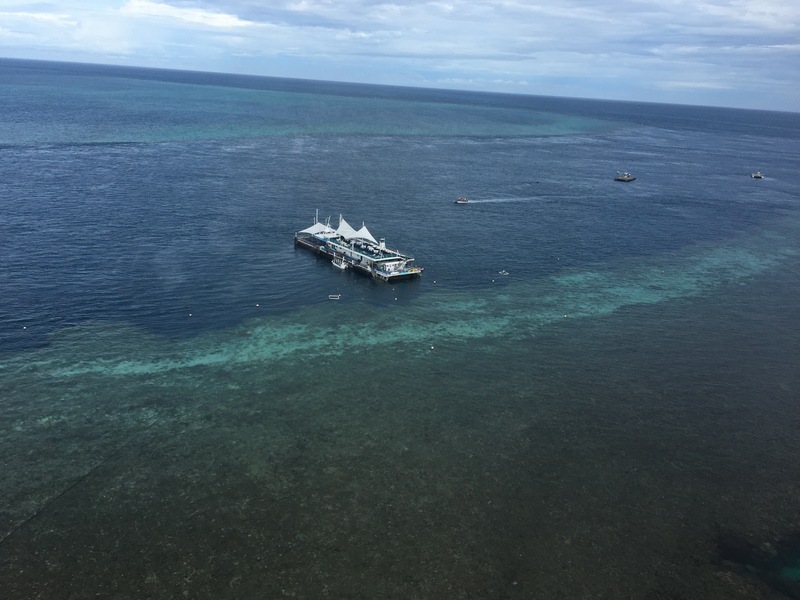 The boat trip can take up to two hours each way, but a helicopter, first thing in the morning, flying at 100 knots, can beat the crowds and reach the two permanently moored pontoons on the reef in 20 minutes. 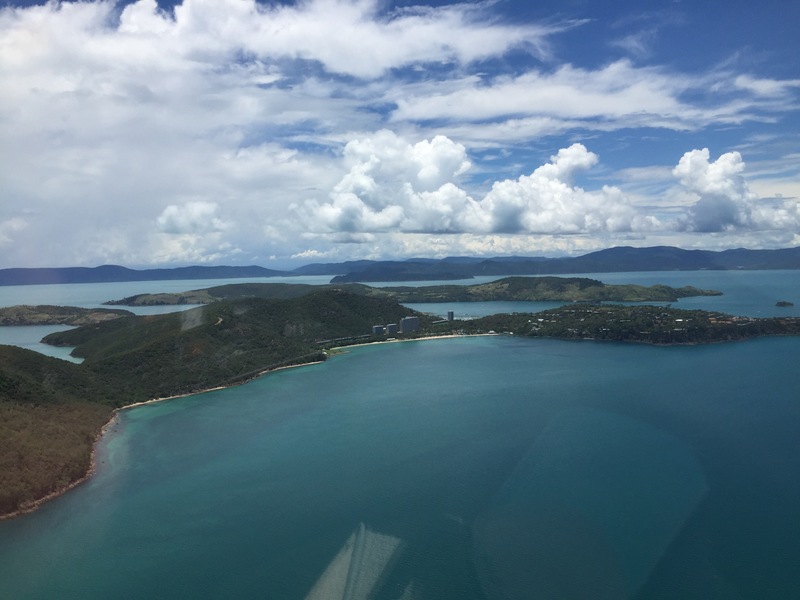 Flying out of Hamilton Airport this morning, we had a glorious view of our resort and the neighbouring Islands, as we headed East towards the open water and the reef. 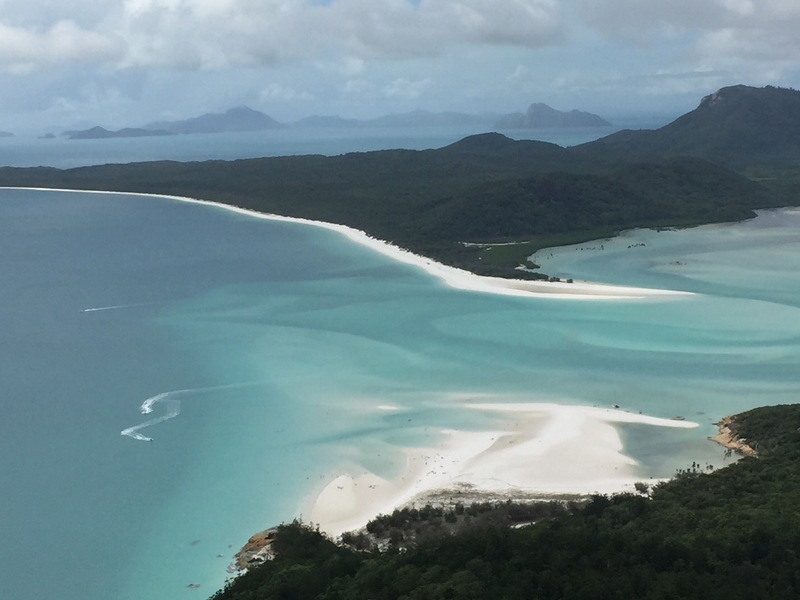 There are 74 Whitsunday Islands, and only 7 of them are inhabited. 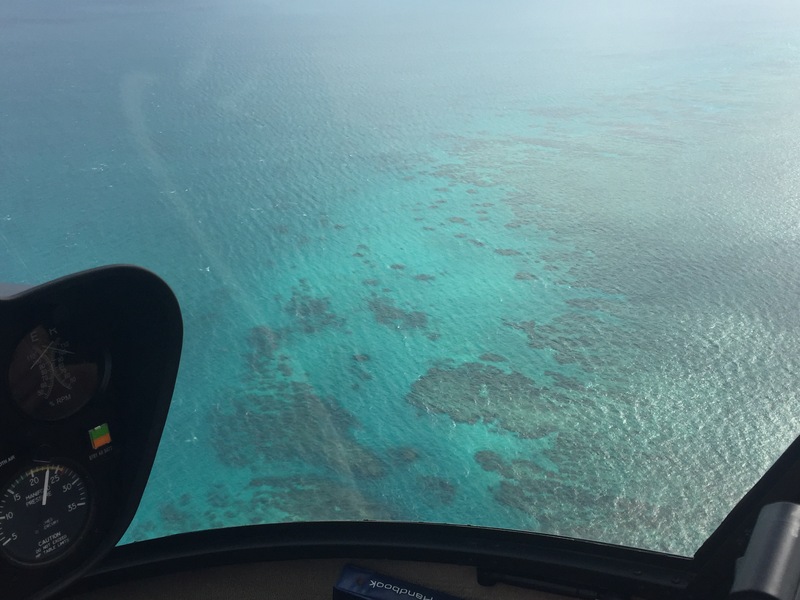 We took some aerial photos of some the Islands and reef en-route. 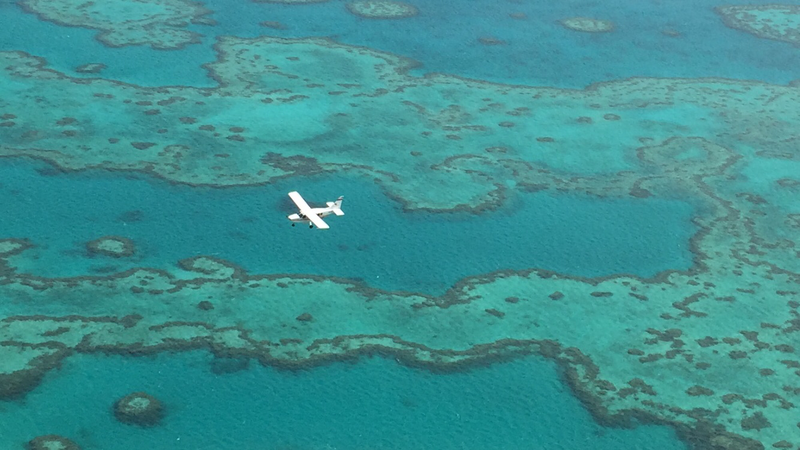 Our pilot said they filmed some scenes from the Pirates of the Caribbean on one of the Islands. 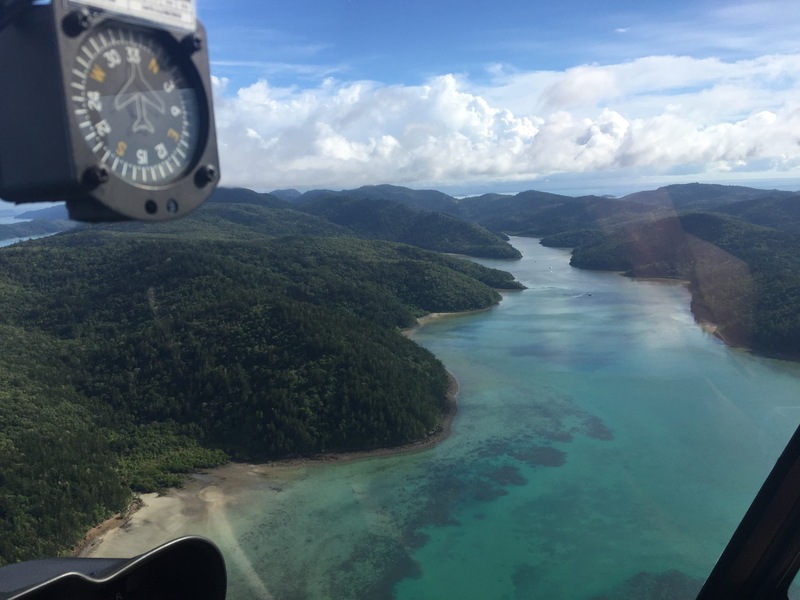 The snorkelling and diving on the reef itself was of a completely different order to our trip to Hook Island the day before. I definitely found Nemo here, and hundreds of his family. 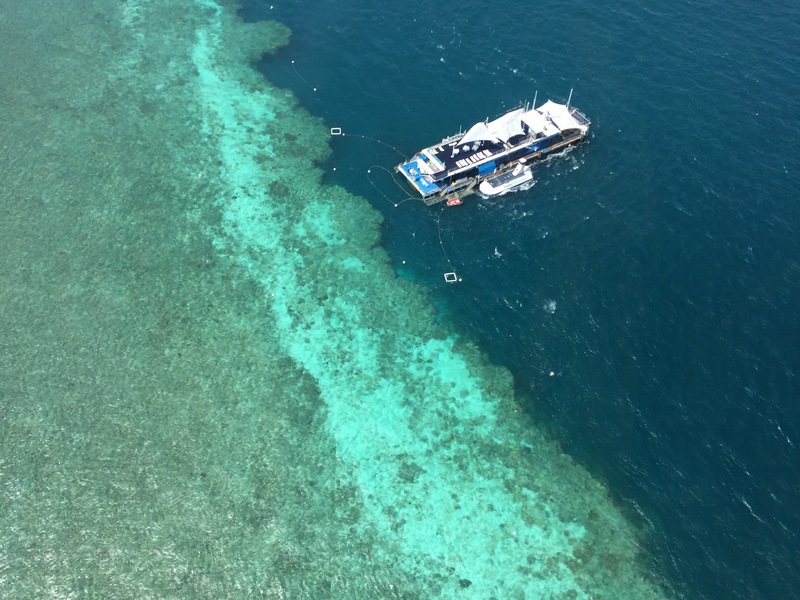 They feed the fish as you swim, and you are surrounded by shoals of familiar and unfamiliar tropical fish, as you float only a few feet above the coral and the edge of the reef. The colours and shapes are extraordinary. At one point, I saw, what I thought was a pair of discarded, fluorescent blue swimming trunks, but on closer examination, it was the inside of a giant clam. It really is a different World. 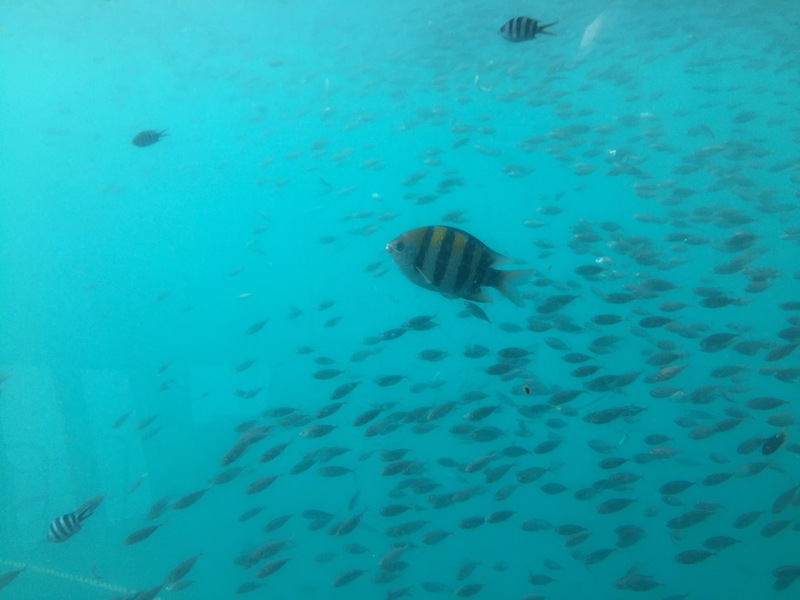 Lorna and others, not keen on snorkelling, stayed on the pontoon, as the snorkellers swam or took selfies. It is perfectly safe out there. They very rarely see sharks or other dangerous predators. The biggest hazards I came across, were the selfie sticks of an inconsiderate bunch of self-absorbed snorkellers who were hogging the guide ropes. 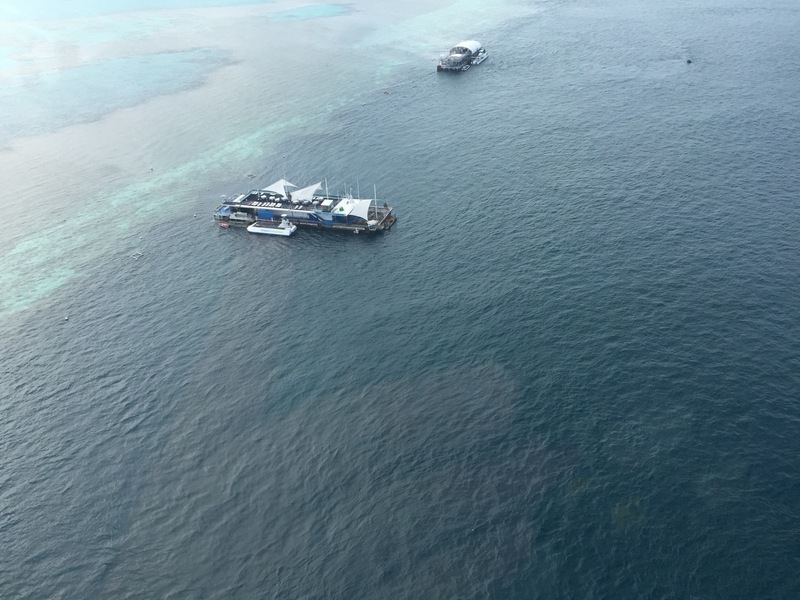 A very short ferry trip from the helipad pontoon across to the diving and observation pontoon and you are in the water in your stinger suit with snorkel and fins in minutes. I lost track of time, but was apparently in the water for about 40 minutes. The wind picked up and, as the current was increasing, I headed back to the pontoon. We were going to go out on the pontoon’s viewing boat with an underwater viewing gallery, but the water was too choppy to launch. 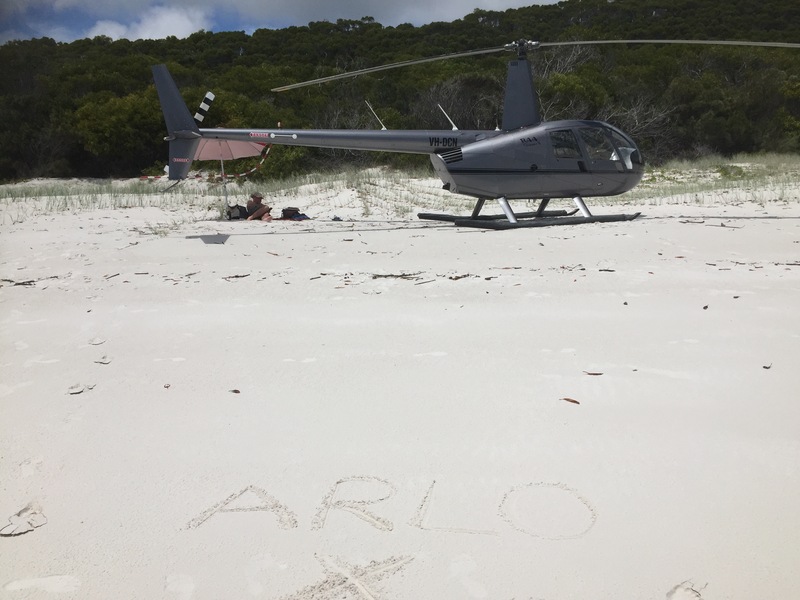 Instead, we headed back to the helicopter and on to Whitehaven beach, back in the Whitsunday Islands. This is 7 km of the purest white sand we have ever seen and virtually empty. It is so white and reflective of the Sun’s rays, that it is completely cool under foot, notwithstanding the baking sunshine above. We landed directly on the beach, unpacked a picnic and shade and had lunch. 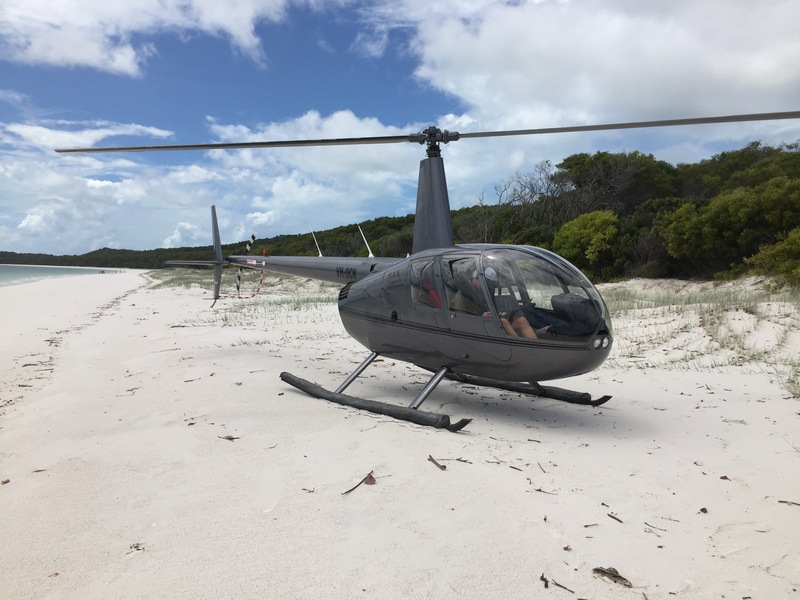 Three other helicopters landed at various points along the beach and one boat party about 2 Km away, but otherwise, we had the beach to ourselves for an hour and a half, before it was time to return to Hamilton Island and to the hotel’s own helipad. They really do things well here. 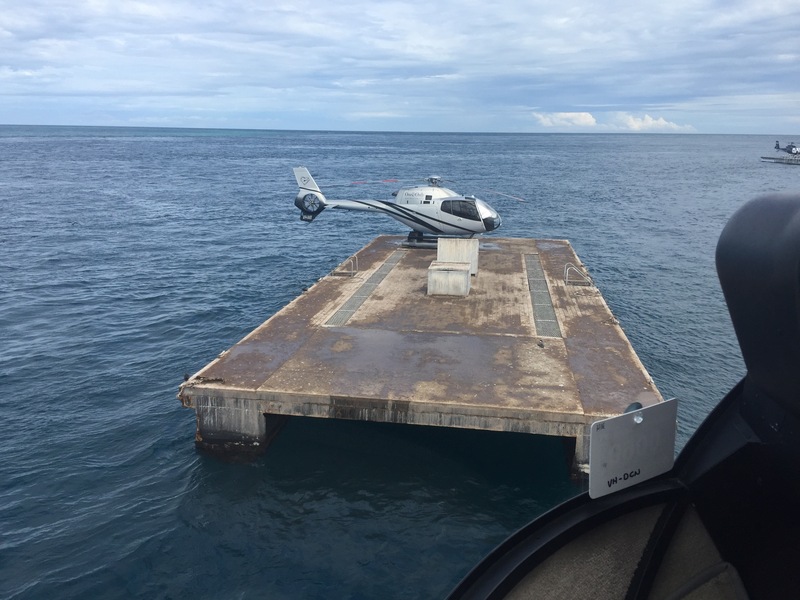 The hotel had gone to the trouble of collecting and parking our own golf cart by the helipad. ﻿The easiest airport transfer we have ever experienced. Hi Graham, I am really enjoying your blog – you are an absolute natural and very amusing. Move over Bill Bryson, there’s a new kid on the block!